Remember the end of The Invasion? The Cybermen were defeated, everyone celebrated, and the UNIT men wanted to keep Zoe. Everyone was happy and then Jamie, Zoe, and the Doctor went back to the TARDIS and that was that. Or then, maybe it wasn’t. This December, we find out why those celebrations were a bit premature. 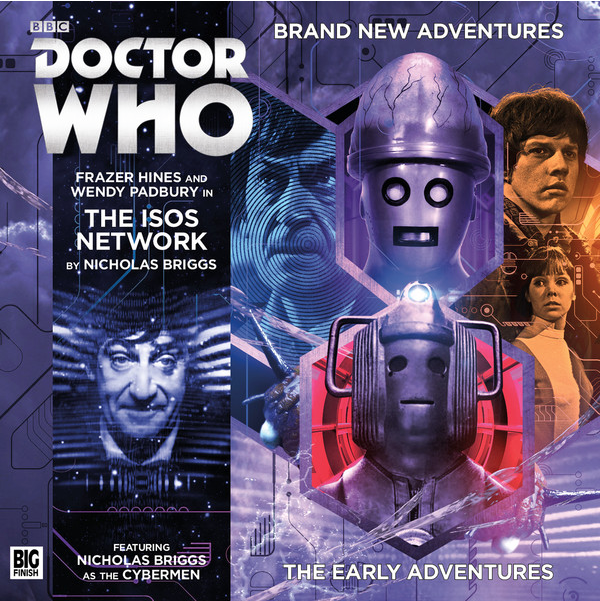 Big Finish has announced The Isos Network, a story following immediately after the end of The Invasion. The story is written by Nicholas Briggs and directed by Lisa Bowerman and features the return of Frazer Hines as Jamie and Wendy Padbury as Zoe, with Nicholas Briggs also voicing the Cybermen. It’s available for pre-order now from Big Finish. As a fan of the early Cybermen, I’m anxious to hear it. The cover looks fantastic, anyway. Go pre-order it now.